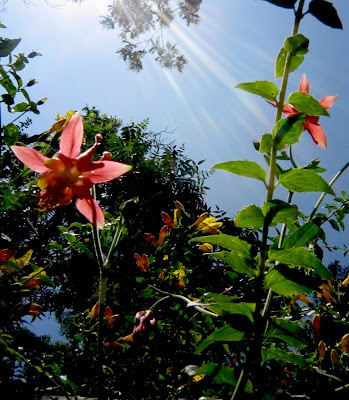 On north facing outcroppings, where water seeps into Calabasas Creek or into the stream that emerges from Bell Canyon, observant hikers are on occasion treated to the delicate lanterns of the native California Crimson Columbine plant. Spotting one always is a challenge to me, since as pretty as they are from above, getting a peak from below often holds a stunning reward. 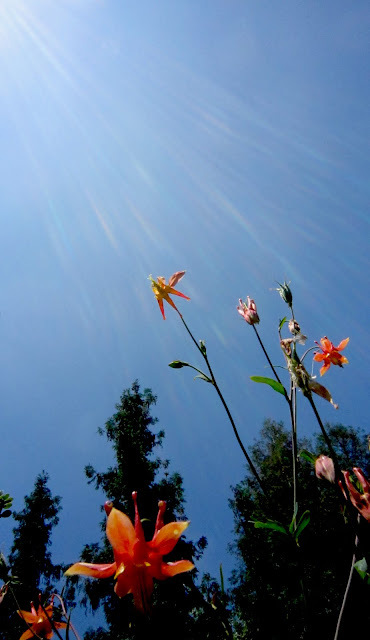 Planting this at-right-at home Southern California wildflower has the extra reward of humming bird visits and the attention of butterflies. 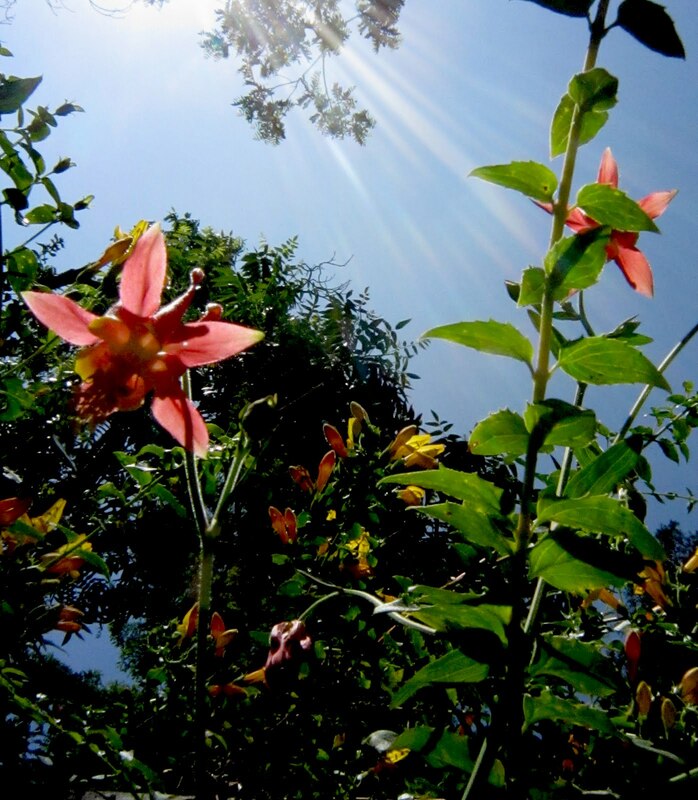 The California Crimson Columbine is additional evidence of the San Fernando Valley's ground water heritage. Willard Simms should consider a poem about the botanical treasure of the American West.